Keyboard shortcuts are super useful for multitasking and saving time on the computer. But if you're like me, you might only know a few of the million of keyboard shortcuts that are out there. I pretty much know the most basic of basic shortcuts: copy, cut, paste, save, select all, and screenshot. That's how anti-baller my shortcut knowledge is. It's pretty much as sad as someone claiming that Internet Explorer is the best web browser around—you just can't be taken seriously. And if you use programs like InDesign or Photoshop, there are even more shortcuts that you probably want to have memorized. So, in order to avoid being relegated to noob status, you can use an app called HotKeys for all your keyboard shortcut needs. HotKeys lets you send shortcut commands from your iPad to your computer without having to remember which keys to press. It displays all the shortcuts on buttons with an easy-to-use interface, so all it takes is one tap. The app comes with two packs pre-installed—one for the standard OS X hotkeys, and the second for Photoshop hotkeys. 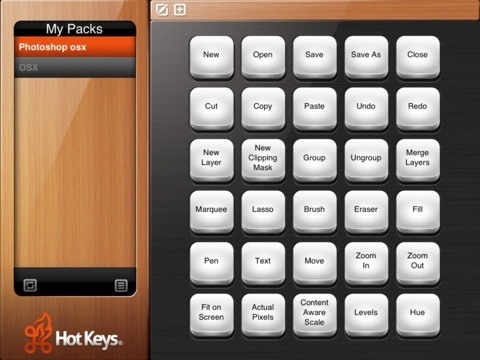 You can create and edit the hotkeys and also download hotkey packs for other programs. You will need to install HotKeys on both your computer (Mac or PC) and iPad in order for it to work. Once you have them installed on your devices, all you have to do is connect them. Make sure they are on the same wireless network and your iPad should show up on your computer's toolbar. Now, simply tap a function on your iPad and the action will be carried out on your computer. 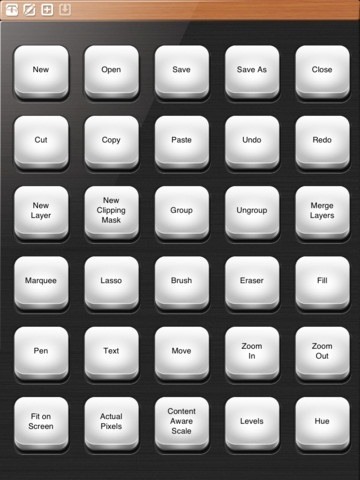 This is a great way to use all those keyboard shortcuts without having to remember a ton of key combinations. There are still a few bugs that can cause the connection to time out occasionally, but overall the app is pretty good. Eventually, one day you won't even need this app anymore!